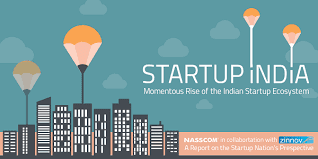 Kotak Mahindra Bank (Kotak) and NASSCOM announced the winners of its maiden payment co-creation programme for start-ups and fintechs. Of the 133 entries received for the programme, 12 fintechs were shortlisted after a rigorous evaluation process. The jury has finalised 6 winners – Automaxis, Dairy Plus, Nukkad Shops Technology, MyCarIQ, Highway Delight and FTL Technology. The twin objectives of the Kotak Payment Co-creation Programme are to provide an impetus to fintech-bank partnerships and build an ecosystem of collaboration and innovation for start-ups and fintechs in the digital payments space. Automaxis: A micro-automation platform that reduces operational time and error, Automaxis provides solutions related to GST filing, from making the invoice to the last stage, connecting different ERP players. Dairy Plus: This Hyderabad-based fintech provides solutions to enable the last mile visibility and payment digitalization for dairy distribution businesses. Nukkad Shops Technology: This fintech offers retail business solutions to small kirana shops with cloud POS, billing system etc. MyCarIQ: MyCarIQ is a Pune-based fintech that works on IoT for car tracking, booking services etc. through an integrated device in the car along with a companion mobile app. Highway Delight: This Bangalore-based fintech provides data-driven integrated highway services platform for smart roads of the future. FTL Technology: FTL Technology works in the area of driving retail loans for banks along with a price comparison engine in the e-commerce segment. The next leg of the Kotak Co-creation Programme in partnership with NASSCOM will be announced soon.